Confession time: I’ve never been a very good budgeter. Oh, don’t get me wrong, I’ve made budgets. I’ve done Excel budgets, and Mint budgets, and even writing-things-down-on-paper budgets (#badmillennial). But trust me when I say they never, ever, ever changed anything about how I was spending my money. Sometimes I would get an email update from Mint when I went over a specific budget category, sure, but it never really gave me what I needed: a harsh look at where my money was actually going on a day to day basis. 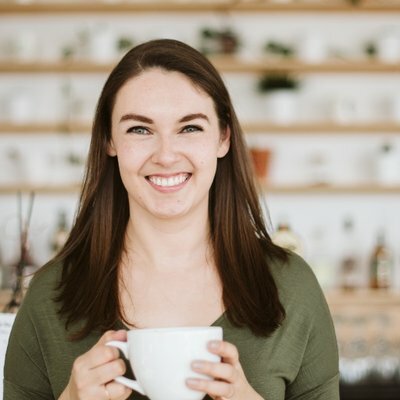 Listen: a budget can be a fantastic tool, whether you’re looking at things weekly, monthly, yearly or even, as Bridget recently calculated out, over a lifetime. But you can have a brilliant, perfect, amazing balanced budget and still not hit your money goals. You can have the best budget in the world and still end up overspending every single month. The gold standard of budgets can’t help you unless you’re also committed to tracking your spending. It is all well and good to budget a set amount for eating out at restaurants, or to spend on food, or to spend on “fun” in your budget, but do you know how easy it is to forget about that $20 lunch with friends, or that $90 date night when it’s close to the end of the month and you get an invite to go out? So easy, and I speak from super-personal experience. But this month, alongside the Track Your Spending challenge, I’ve been secretly trying something beyond just a simple “money in, money out” spreadsheet. I’ve been separating my expenses into categories, with estimated amounts of what I can spend in each. For someone who has sworn off budgets, that sounds a whole lot like a budget to me. It has – surprise, surprise – turned out to be hugely helpful, especially when it comes to giving myself some leeway in terms of leaving a bit of guilt-free “fun” money in my budget. I can easily see how I’m doing on each different category, and since the categories are based on the calculations I’ve done over the past six months of tracking, they’re almost eerily accurate in terms of what I’m actually going to spend each month. But it’s also thrown my past budgeting efforts and their somewhat-legendary failures into sharp relief. I can see now that when I sat down to “balance my budget” all those times, I was missing one key step: making sure my money was going where I thought it was going. And hey, to cut myself some slack and give an alternative option, it even would have been worth pulling all my transactions at the end of the month just to do a quick gut-check against what I thought my budget was supposed to look like. Even that would have been a good way for me to realize that hey, that perfect spreadsheet wasn’t actually in line with the spending habits I had built up over time. If you’re not doing any of the above – tracking your spending or reconciling your budget at the end of the month – that’s why the whole budgeting thing isn’t helping you get where you want to be with your money. What do you think – have you had good luck with other budgeting methods? Are you staunchly anti-budget? Have you learned other good ways to make sure a budget helps you? Let me know in the comments! I’ve been fairly anti-budget. I’ve never been a “spender” in the first place, so once I started on my FI path, it was easy to trim my expenses to a reasonable level. In January 2016 I began to track my expenses on a monthly basis. I think subconsciously this will keep me in check. But in 2015 I didn’t track my expenses and fell under my expense goal by about 10%, so it isn’t a big concern for me. For others who have a hard time with keeping their spending in check, tracking expenses and trying to follow a budget can be a life saver. 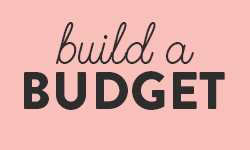 The best budgeting method I have found is You Need a Budget (www.youneedabudget.com). In my experience, it is a good combination of goal setting, tracking and budgeting all in one place. I’ve heard such great things about YNAB but I haven’t gotten around to trying it yet! I’m definitely going to give it a shot one of these days with the free trial – it might be good enough that I’ll subscribe to it! My household’s been running non-budget for most of our time together. Maybe a better way to phrase it, is that we set our budget based on how we spend our money, and we focus our spending on what’s highest priority. With two decades of hard data, we’ve got it pretty well sorted. But still, the budget numbers themselves come from long experience, not random pulls from thin air or aspirational “gotta spend in this way”. Both of us are pretty frugal and aware of how we spend. We settled into good habits early and let them carry us along. It’s been working well for us. In fact, it’s stable enough that I’m confident I know what our post-FI life will cost, and I project we’re nine years out from transitioning. That’s a separate benefit from tracking, that you will get to yourself in time. First things first — get your tracking in place and get some years of good data and good habits! That is absolutely amazing, and you’re right – tracking will give you the best retirement (Early or otherwise) information you can get about how much you really do need to maintain the parts of your lifestyle you want. I also LOVE your point about spending on what’s important to you. As I’m working towards multiple savings goals, I can clearly see how I prioritize the goals that I feel are most important right now every time I have a bit of extra money to “spend” on them – and I know my spending on things like time with family and friends is always going to be high priority! Since my email to you, I’ve tried labeling my spending into categories too (to prep for that eventual budget I’ll probably have) and MY GOD. How do I spend so much money on food? And it’s not even like, going out to eat, it’s literally me buying groceries. I think sometimes I just have lofty ambitions about all the meals I’m going to make and in the end I just end up eating pizza rolls or cereal for dinner. Still going strong on tracking but I think I need to be a bit more honest with myself when I spend money. Yes, making meals at home is healthier AND cheaper but when you buy all the stuff and then don’t use it, you are throwing way too much money out the door. Or at least in my case, throwing money onto my compost heap (at least it’s not ALL bad). Budgets are a tricky thing, because we really don’t like them, at least not the kind with lots of line items. That’s why we do “pay ourselves first” and then just find a way to live off the remainder. But soon, when we retire, we’re going to have to figure out how to coexist peacefully with budgets, because we’ll have to. There won’t be more money coming in to make up for whoops moments. We’ll probably keep money we CAN’T spend (like property tax payments and the like) in a separate account, so we don’t accidentally spend that cash. Or maybe even give ourselves a weekly allowance or something similar. But we’re going to have to figure it out so we don’t sink our retirement ship! I think I’m leaning more and more towards the allowance method myself, especially for “fun” spending! 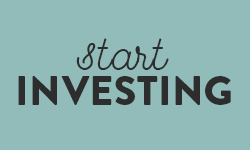 It’s also what The Boyfriend and I have discussed as a good way to set things up if/when we join all of our finances. Each of us gets a certain amount funnelled off for whatever we want, no questions asked, and I feel like doing that to myself now would be a good plan, haha. When I have no limit or “budget” on that kind of spending it tends to get out of hand, with $25 here and there, but when there’s even a self-imposed limit of a few hundred it helps me keep my “treats” in perspective! Yes, we’ve had great success with using our budgets over the years. Apart from being dedicated to collecting receipts, tracking the expenses and balancing the budget every month we attribute being mortgage free in 5 years to budgeting. Many people tend to forget about expenses that aren’t monthly which is why we designer our budget with a “Projected Expenses” account in mind. 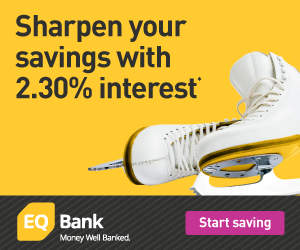 This allows us to save monthly for those expenses that happen once a year or every few months. This way the money is always available and we aren’t scrambling to pay the bill because it hasn’t been fit into the budget. This where most budgets can go wrong apart from what you mentioned, the desire for the budget to work. Great post. Yes yes yes to forgetting about non-monthly expenses! Those and unexpected things that pop up have been a huge lesson for me on my tracking journey, haha. It’s so important to plan for them and make sure you don’t forget to account for them – which tracking can definitely help with! I budget through Mint. Beginning of the month, I set the budget, and I watch my transactions to make sure i’m on track. Key to this is, throughout the month and at the end of the month, checking Mint to make sure all the transactions are labelled correctly, and that you are not over budget. If you are consistently overbudget, look at the budget. Is the number wrong? Or is there something you are doing that isn’t working? 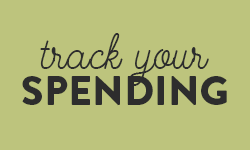 I found tracking my spending in a spreadsheet difficult, just because it takes too much time. Because I spend a considerably amount of time travelling for work, I’d just not make time to track my expenses. Mint, being hands off, is considerably easier to fit into my lifestyle. My problem with Mint is you have to disclose your banking password. Doing so means you have violated your terms of service with the bank. If Mint gets hacked (and they will) the bank WILL NOT return your money. The only thing the banks really ask you to do is keep your PIN and password secret. If you share either, you are giving away the keys to your accounts. I totally get that, and the reconciling at the end of the month is where I always fell down with it – I needed something that required more effort on my part to feel like I was actually invested in the outcome, if that makes sense? But I get that if you’re travelling a lot and you appreciate the lower level of tracking effort, but it still works, then it makes sense for you! Ok I might we weird but I LOVE my budget. I use excel so I can make it flexible for my needs. If I don’t check and update it every few days I start up get stressed!!! Gosh I sound OCD but I actually find it liberating because I know I have the money to pay for car insurance, clothes, holidays (even if they are only modest amounts). Hahahahaha SO not weird at all, you are preaching to the choir here! I have come around to my spreadsheet and actually love updating it now, but I still remember the days of huge budget avoidance, lol. Hahaha I totally get that – the Mint failing was all on me, which I realize now. If I had put more effort into paying attention to it or reconciling it every month, I might have had a much better relationship with it! I feel like my big learning is that I need to be a bit more hands on to feel like I’m actually… responsible for it? If that makes any sense at all, haha. For a long time I tracked my spending regularly. Not to budget, just to reconcile my checking and credit accounts to make sure I wasn’t getting erroneously charged. This didn’t really move the needle for us in terms of getting good with our finances. It wasn’t until a few years ago when my wife and I started to actually budget AND tracking our spending that everything clicked. We realized that budgeting was simply making a plan for your money and it doesn’t have to be a crazy restrictive thing that most people think about. Since we’ve had that revelation our finances are so much better and we’re stressed about money anymore! Read this. Seriously, check out YNAB. Pretty much everything you’ve discussed here is in their method and software. I’ve heard that from a lot of people – I’ll check it out soon! Strict budgeting doesn’t work for me – just not wired that way. Spend tracking is absolutely key, though. Totally! Tracking is the real key – and I’ll give it another few months but strict budget categories may not be exactly my style either, lol. They’re currently more like… guidelines that I consider and then do what I’m going to do anyways, haha.